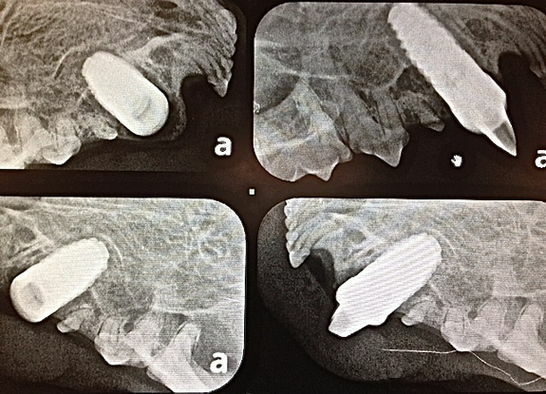 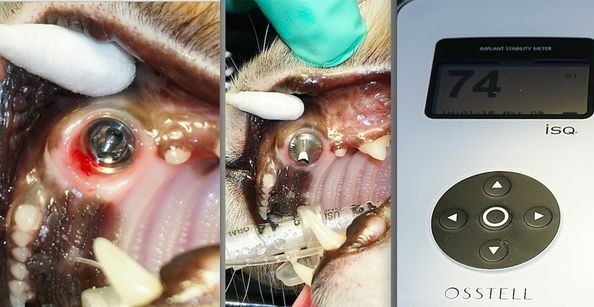 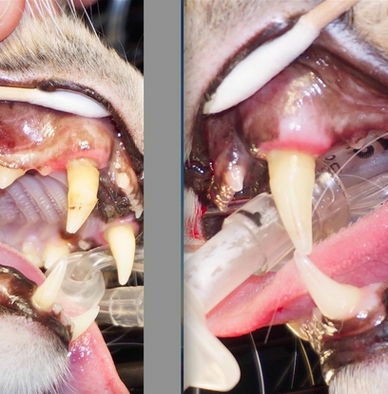 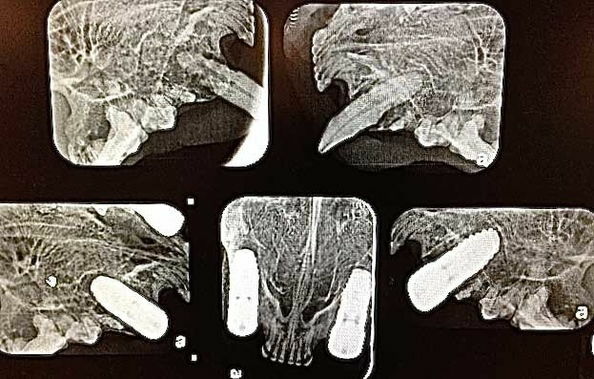 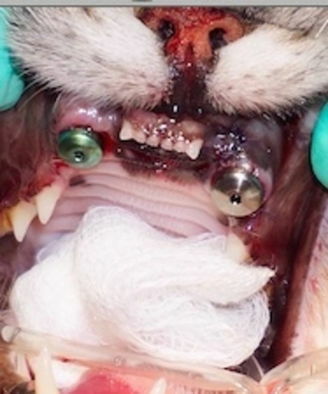 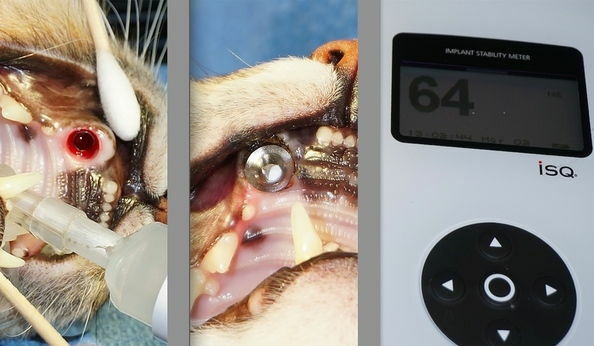 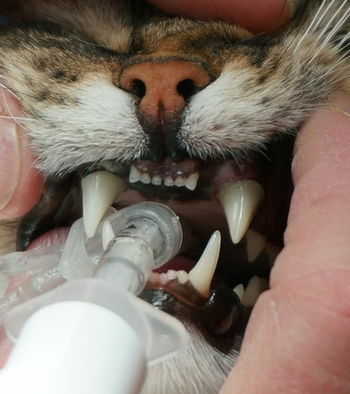 This is a Veterinarians cat presented with a common condition diagnosed as Alveolar Osteitis (AO). 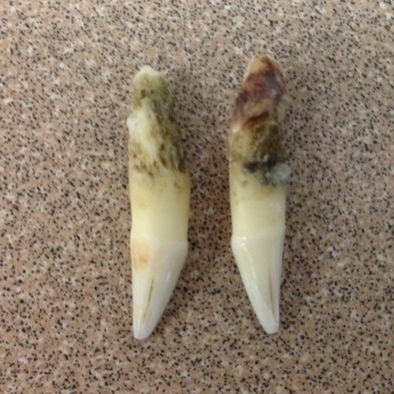 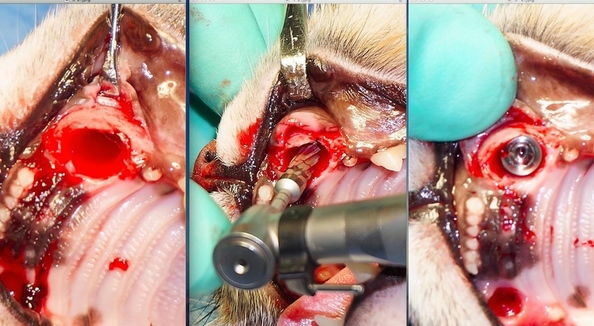 The accepted treatment is extraction of the affected tooth/teeth. 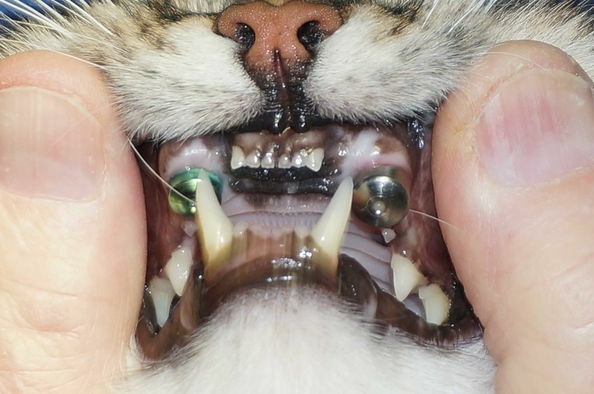 In many cases this will result in collapse of the alveolar envelope and undo trauma caused by the ipsilateral mandibular canines.